Vivo retains title sponsorship for IPL 2018-22. They bid Rs 2,199 Crores, 554% increase over the previous contract! Chinese mobile manufacturer Vivo had bid for Rs 2,199 Crores while their competitor in the mobile industry as well in bidding, Oppo was the second highest bidder with Rs 1,430 Crores. The premium global Smartphone manufacturer (Vivo) bid Rs 2199 crores, which is a 554 percent increase over the previous contract. 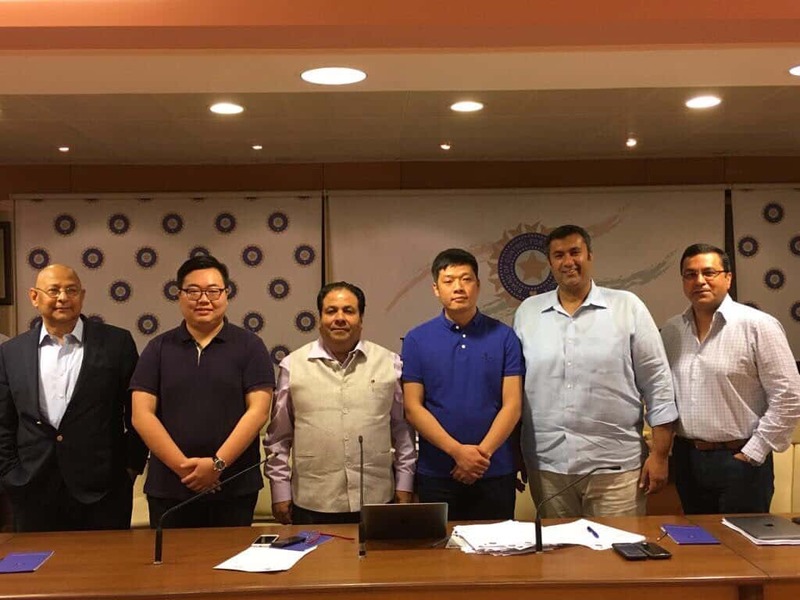 In the upcoming five IPL seasons (2018 - 2022), Vivo and IPL will have extensive cooperation in terms of sports events, on-ground activations and marketing campaigns. Sponsorship is for the period from August 1, 2017, and July 31, 2022. BCCI will annually get Rs 440 Crores from this deal. We are delighted to have Vivo joining us once again as the title sponsor for IPL for next five years. The association with Vivo has been great for the past two seasons and I am sure they will continue to make it bigger and better. Vivo had replaced PepsiCo as title sponsor in 2015 when PepsiCo withdraw from the deal of Rs 396 crores for five years in 2015 which was to be ended in 2017. Then Vivo had bid Rs 100 crores each year for the two seasons (2016 and 2017). Vivo is the third sponsor of the high-profile tournament; DLF and PepsiCo were the other two. DLF was the title sponsor from 2008 to 2012 and PepsiCo from 2013 to 2015. Vivo as a brand has carved its niche and legacy in the market. We are extremely glad to have Vivo as the title sponsor and look forward to an enriching affiliation for both stakeholders. We received an overwhelming response for the title sponsorship rights and we are glad to have Vivo back on board. It is a renewal of a fruitful relationship with the brand that will extend for the next five years.